Violet Crepuscular, celebrated author of the epic romance, Oy, Rodney, has another book out which I urge you to avoid. It is unworthy of her. In Nazrat of the Moles, the infant son of an English lord and lady, orphaned when his parents are attacked and eaten by hedgehogs, is adopted by a family of moles and taught how to live underground. That means no one ever sees him. And he makes quite a mess of the neighborhood’s lawns. Nazrat has many of adventures as he pursues earthworms and beetle grubs, runs into a lot of stubborn tree-roots, and eventually rises to become chief of the moles. His idyllic existence is disrupted when a party of homeless Swedish nobles gets lost in the suburban subdivision in which he lives. As he tries to protect them from the hedgehogs, Nazrat falls in love with the Swedish mole-ology professor’s daughter, Janie. 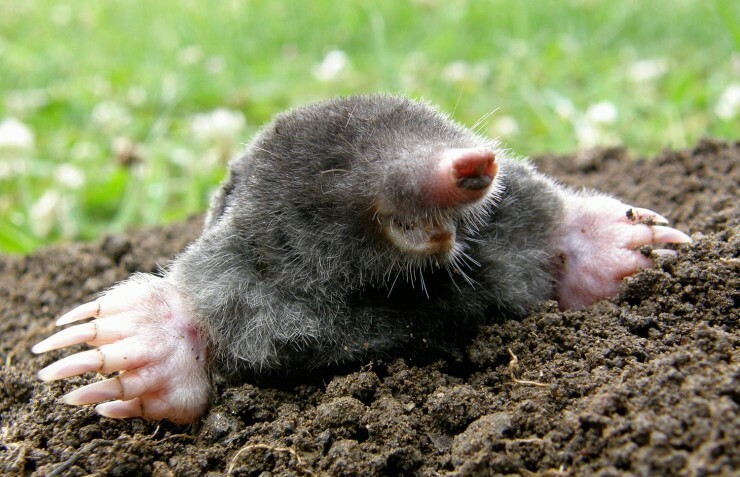 I am not convinced there is such a word as mole-ology. Nazrat teaches Janie how to burrow, and she joins him in his underground life. Now no one sees her anymore, either. This entry was posted on Saturday, November 3rd, 2018 at 1:50 pm	and tagged with "Tarzan" imitators, general silliness, moles, Violet Crepuscular and posted in Just for Fun, satire. You can follow any responses to this entry through the RSS 2.0 feed. I’m just curious about the philosophies which will spring from mole-ology. Can it be … ? Is this the secret of what lies under the vicar’s wading pool?? ?